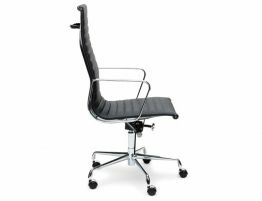 Exceptionally generous in size, our Iconic Soft Pad High Back Office Chair in genuine leather has a lush seat and back, unmistakable features in a chair designed to be both comfortable and good looking. 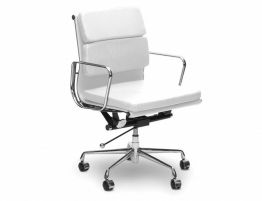 Our Iconic Soft Pad High Back Office Chair also feature high quality materials, such as corrected grain leather as any big wig or executive would expect in the office, conference room, lounge, or board room. 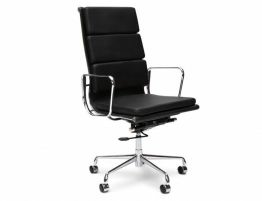 This designer office chair consists of a beautifully chrome plated base and is finished with a fine grain leather seat and back. 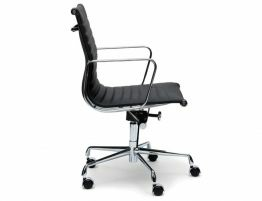 It has a stable 5-star base and tilt-swivel mechanism. 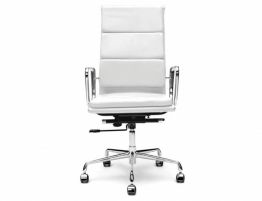 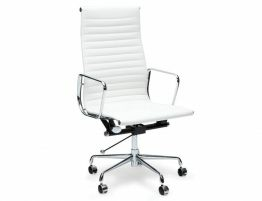 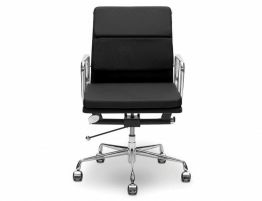 This modern office chair can bring a bit of that design epoch into your space.